We are so excited to report that Grandma and Grandpa have arrived! They’ll be renting the house across the street from us for 6 months and getting lots of quality time with the girls. My mom is watching S on weekdays – what a saint. She retired on Friday and then started her new gig as nanny first thing Monday morning. I had just dropped M off at school when I got a call from home that S’s door was locked and she’d had a blow out poop. M likes to shut all the doors before we leave, so we assume she locked it by accident. Poor Grandma. Day one, hour one and she’s got poop on her and no access to diapers or clean baby clothes. I headed home to bring them the diaper bag with a change of clothes and my dad was able to get the door open. What a way to start the week! I’m off to Home Depot soon to get new doorknobs with no locks. 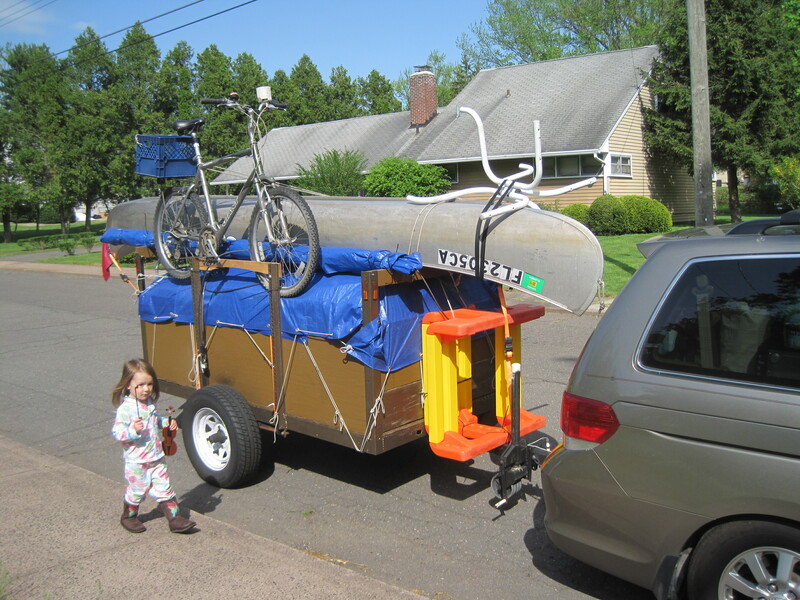 Here’s a photo of Grandpa’s trailer with all their stuff and a bunch of stuff from my mom’s classroom for M (and eventually S). 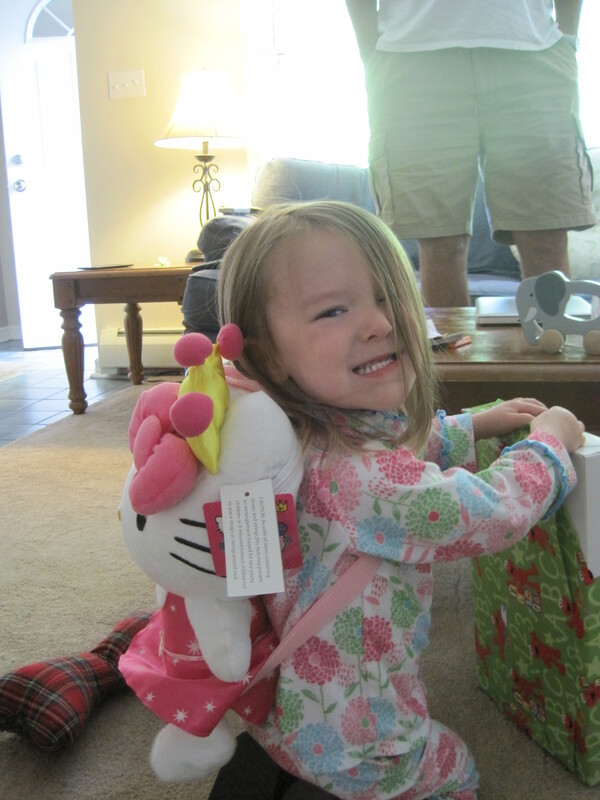 Here’s M with her new backpack from my mom’s friend. 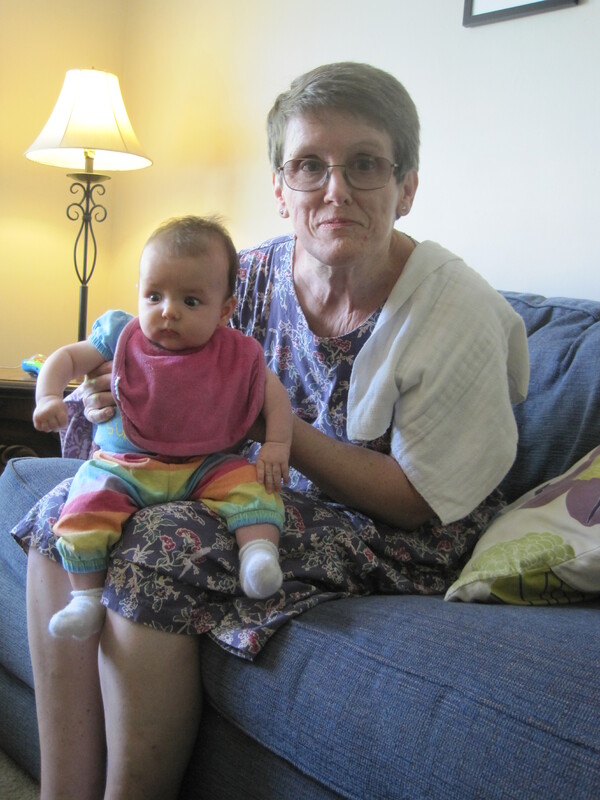 And here’s S getting used to sitting on Grandma’s lap.